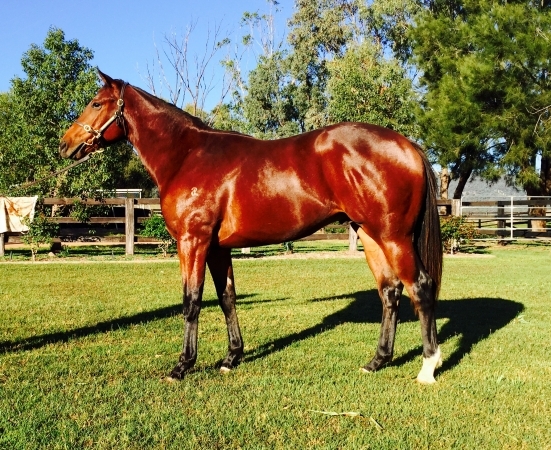 Stryker colt 3yo just commenced training with Rob Heathcote this week 3/10/16 . 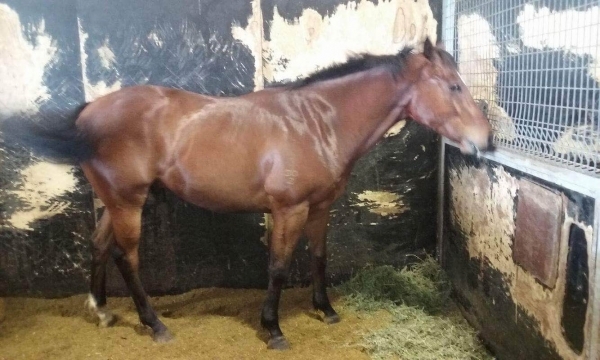 Come join a great group of people to watch this Stryker colt fly down the track , he is in excellent horse and was recently pre trained at washpool lodge and has come to the track in outstanding condition . 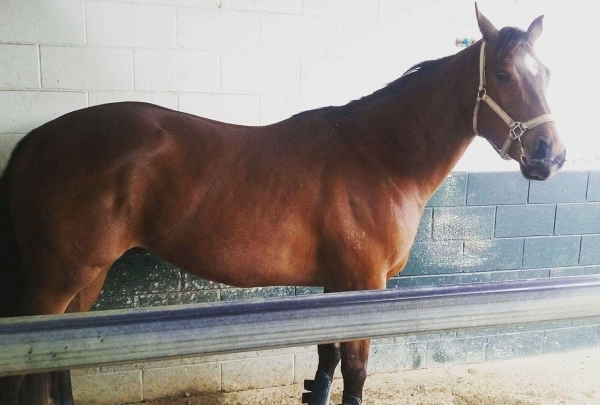 80% of him is sold already and I have 2 x 10% shares for sale for $4000 per share . 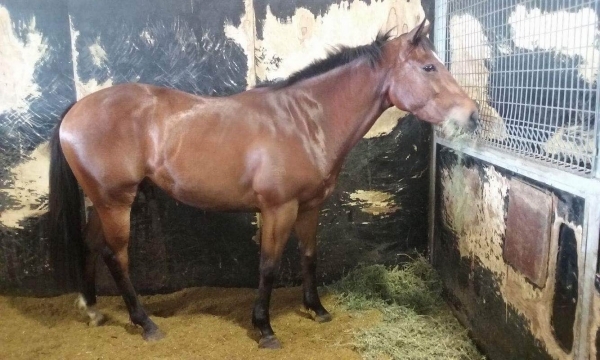 STRYKER (AUS) (Bay 2006-Stud 2011). 2 wins at 1200m, 1350m, BTC Classic, Gr.3. Half-brother to SP Exceed and Exalt. Sire of 111 rnrs, 48 wnrs, inc. SW Rangipo (New Zealand Derby, Gr.1), Strykum, SP Labdien, She is Stryking, Miss Nymeria, Miss Loren and of Mr Markou, Andrioli, Metier, Sonesta, Splendid Stryker, Perpetual Crisis, Stryking Stunnah, Conspicuous Maid, Roseberry Street, Centauro, Cyclone Stryker, One Stryke, Baggio, Margiel Stryker, etc. DAS MACHEN (f. by Flying Spur). 7 wins to 1500m, A$252,410, SAJC Matrice S., L, MRC Poitrina H., BWS H., MVRC Quest Moonee Valley H., Wonthaggi Workmen's Club H., 2d MVRC Travis Harrison Apprentices Cup H., 3d MRC Hyderabad Race Club S., Gr.3, Peter Nash H., Mistress Anne H., Excited Angel H.
Test Edition (g. by Testa Rossa). 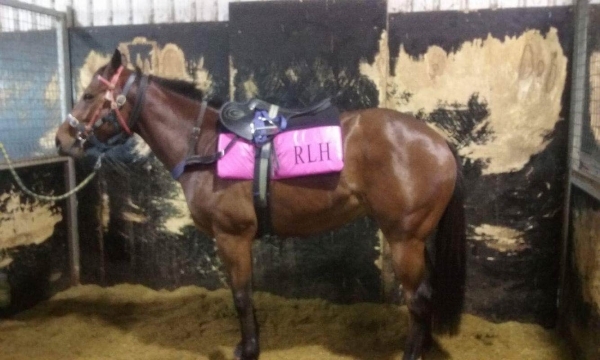 6 wins from 1200m to 1600m, A$188,453, AJC Maroubra H., Starcraft H., Best Bets H., Fringe Bar H., VRC Better Loosen Up H., STC Club Managers' Association Australia H., 2d STC Pink Day This Saturday H., Hawkesbury RC Blakes Marine H., 3d MRC Soho Square H., STC Kraft Foods H.
Flying Storm (g. by Excites). Winner at 1600m, 2d CJC Trevinos Bar & Restaurant H., 3d CJC Race Images H., Skelton Brothers H.
Budget Bender. 5 wins from 1300m to 1650m, A$116,810, BRC Brc.com.au H., 2d Ipswich TC Optus Business Direct H., 3d BRC Mount Franklin H.
Lucky Elixir. 2 wins at 1300m, 1600m in Aust. Club Singer. 2 wins at 1000m, 1100m in Aust. El Univeso. 3 wins-1 at 2-at 1100m, 1600m, TTC Tyrepower H., 3d TTC Routley's H., Vamos H.
Magic Pass. 3 wins-1 at 2-at 1200m, WATC Patrol Zone H., Lord Mayor's Cup, Jolly Aster 2YO H., 2d WATC Armed Forces H., 3d WATC Beau Temps H., Jack Meyers Memorial H., Cardinal Colours 2YO H., San Toy 2YO H. Producer. Lara's Theme. 2 wins at 2, A$83,375, WATC Eat More Fruit 2YO H., Red Eye Special 2YO H., 2d WATC Statewide Oil 2YO H., Sharks FC Trevor Sprigg Memorial H., Westspeed 2YO H., 3d WATC DJ Carmichael H., Westspeed 3YO H., 4th WATC Champion Fillies S., Gr.3.